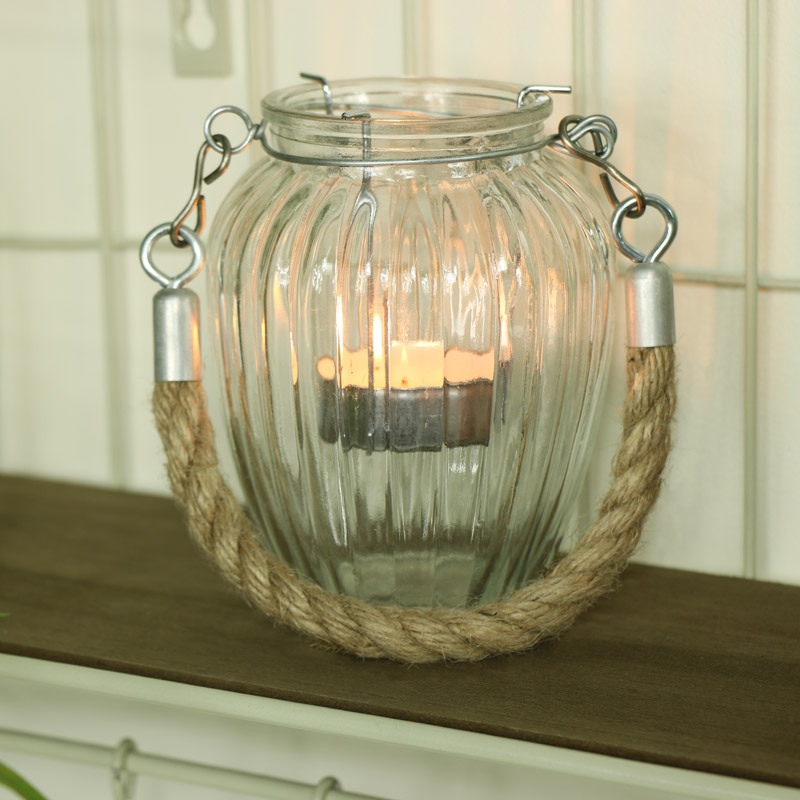 Clear glass candle pot with ribbed effect and rustic rope hanger for a charming shabby chic look. Perfect for a table centrepiece at a rustic or vintage style wedding. This little candle holder will be ideal for adding that quaint homely look to your decor. The jar features a metal holder that lifts out for changing the tealight candle. With a great choice in candle holders, candelabras and tealight holders to choose from, you can add all the rustic, shabby chic charm you want. 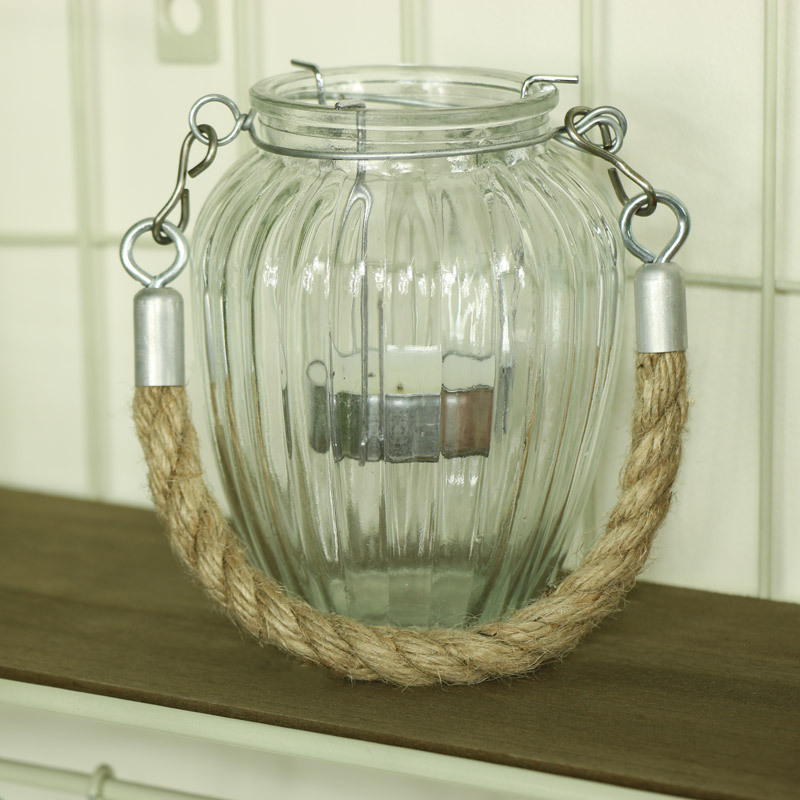 Clear glass candle pot with ribbed effect and rustic rope hanger for a charming shabby chic look. Perfect for a table centrepiece at a rustic or vintage style wedding. This little candle holder will be ideal for adding that quaint homely look to your decor. The jar features a metal holder that lifts out for changing the tealight candle. With a great choice in candle holders, candelabras and tealight holders to choose from, you can add all the rustic, shabby chic charm you want. Clear glass jar with ribbed effect, metal tealight candle insert with rustic rope holder (candle not supplied).